Superior paste type tomato resistant to Verticillium and Fusarium wilts. Bears big crops of bright red, plum-shaped fruits with meaty interiors, and few seeds. The fruits weight about 2 ounces. 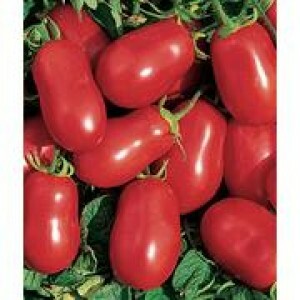 Excellent for canning, eating whole or adding body to tomato juice.